Stone was one of the first elements used by humans in building, and it has been along the centuries the main building material for the construction of houses, bridges and artwork, together with wood or adobe. The Egyptian pyramids, the Roman aqueducts or the medieval cathedrals show how natural stone can be practically immune to the passage of time. For centuries, master stonemasons are shaping the rock according to its composition, through different techniques adapted to the features of the raw material. But it was not until the Middle Ages, with the practice of stereotomy in the construction of great cathedrals, when master stonemasons achieved greater notoriety and prestige. The stereotomy is a technique of stonework, very linked to architecture, which studied how to use, split, arrange and shape the stone extracted from the quarries to undertake works of architecture and engineering. Going back to the stonemasons profession, we can affirm that it has been evolving and adapting to new technologies. Today, even having the same raw material, the trade is no longer linked to the nomadic life after every great work. A lifestlye that Kent Follett reflects perfectly in his book «The Pillars of the Earth». However, it is still a hard work that requires knowledge and skills. Vestiges of the lodges or guilds of stonemasons who travelled around Europe in the Middle Ages are the markings on the stones of numerous buildings of that time. Carved into the rock, crosses and tools, enabled the identification of the author of each element of the work. Nowadays stonemasons work in quarries, open-air areas where they extract the stone that will afterwards be used to shape and decorate a wide range of architectural projects all over the world. 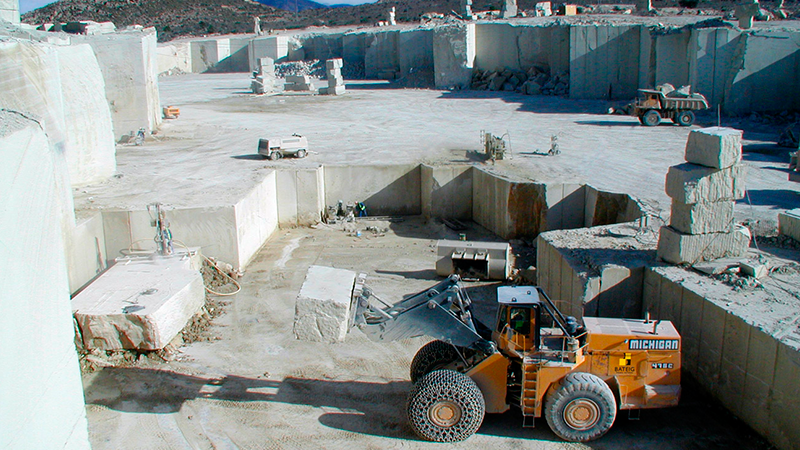 Our natural stone can be found in diverse projects around five different continents.